A three-story high octagonal tower with battlements and parapet walls give this English Revival style house with Tudor details a castle-like appearance. 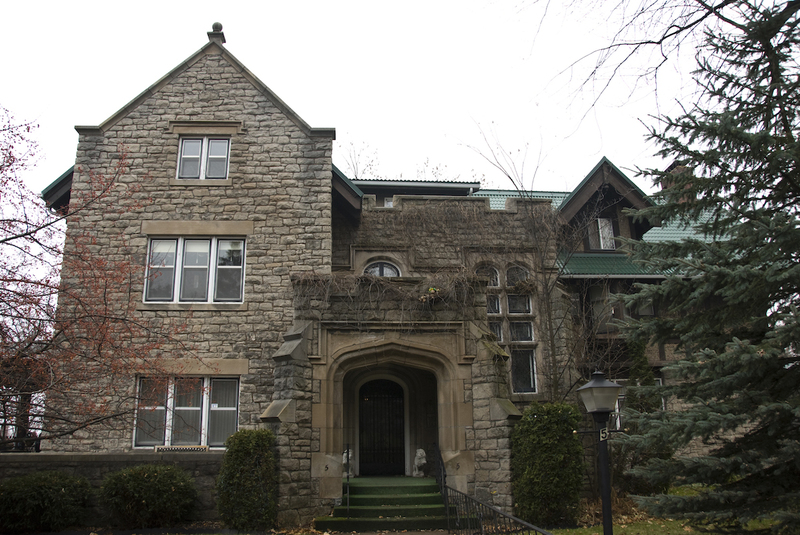 The stone façade is made of limestone quarried on Lake Erie’s Kelley Island. Cutler was president of, naturally, the Dwight G. Cutler Company, a salt, lime, cement, and building materials firm. Cutler died in 1923 near Singapore aboard the steamship Empress of France while on an around-the-world cruise with his wife; he was thirty-eight.